FREE Domain Name For Life FREE Domain Name For Life A SuperPlan hosting package must be purchased and the domain will remain free for the duration of your hosting with us. Only one free domain per SuperPlan and only available on UK Domains (.co.uk .me.uk .org.uk) and gTLD (.com .net .biz .info .name). UNLIMITED Domains UNLIMITED Domains The offer of unlimited domains is for personal use only. If you are using the service to provide or sell hosting to 3rd parties we reserve the right to charge you additionally (for each domain/hosting package setup), or to remove the hosting for that domain. 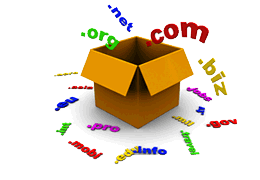 Charges will be the current price for that hosting package, per domain. "Simply the best hosting company I have ever used"
"You have never let me down and continue to provide me awesome unlimited hosting at easily affordable prices"
"I will stick with Hosthero for as long as I have websites"
"You replied to my support ticket in 10 Minutes"
"Your prices are the best around"
"My Account was setup instantly and you gave me everything you said you would"
Looking for a complete hosting package? Thinking of switching web hosts?